Building on the success of Curiosity's landing, NASA announced plans for a new robotic science rover set to launch in 2020. This announcement affirms the agency's commitment to a bold exploration program that meets our nation's scientific and human exploration objectives. The proposed 2020 rover mission is part of NASA's Mars Exploration Program, a long-term effort of robotic exploration of the red planet. Designed to advance high-priority science goals for Mars exploration, the mission would address key questions about the potential for life on Mars. The mission would also provide opportunities to gather knowledge and demonstrate technologies that address the challenges of future human expeditions to Mars. The mission would take advantage of a favorable launch opportunity in 2020 when Earth and Mars are in advantageous positions in their orbits for a Mars landing. That means that it would take less power to get to Mars relative to other times when Earth and Mars are in different positions in their orbits around the sun. The highly capable rover would be based on NASA's successful Mars Science Laboratory mission architecture, including its Curiosity rover and proven landing system, to keep mission costs and risks as low as possible. The budget for this mission is contingent on future appropriations. The project will assess options for infusing new capabilities through investments by NASA's Space Technology Program, Human Exploration and Operations Mission Directorate, and contributions from international partners. Following established processes of NASA's Science Mission Directorate, the science planning process began with the establishment of a science definition team, which was tasked to outline the mission's objectives and the strategies to achieve them, including developing a realistic surface operations scenario, suggestions for threshold science measurements that would meet the proposed objectives, and a proof-of-concept instrument suite. NASA then openly competed the opportunity for the mission's specific payload and science instruments. NASA selected seven science instruments. On the basis of this selection, the Mars 2020 rover would study diverse rocks and soils to understand past habitable conditions on Mars and to seek signs of ancient microbial life, monitor weather and dust in the Martian atmosphere, and test the ability to extract oxygen from the Red Planet's carbon-dioxide atmosphere to prepare for future human exploration. Rock-studying instruments would assist scientists in understanding which samples would be most promising for the Mars 2020 rover to core, collect, and cache (store). The Mars 2020 mission design would respond to recommendations found in the National Research Council's 2011 Planetary Science Decadal Survey, as well as findings of the Mars Program Planning Group, established to assist NASA in planning the future of Mars exploration. The mission would rely on prior technological innovations, especially for entry, descent, and landing. As successfully demonstrated by the Mars Science Laboratory mission, the spacecraft would use a guided entry, descent, and landing system, which includes a parachute, descent vehicle, and, during the final seconds prior to landing, an approach called a "skycrane maneuver" for lowering the rover on a tether to the surface. This landing system represents a huge step in Mars surface science and exploration capability because it provides the ability to land a very large, heavy rover on the surface of Mars in a more precise landing area. The rover design would also enable a Curiosity-class, long-range mobility system on the surface of the red planet (5-20 kilometers or about 3 to 12 miles) for the investigation of diverse rocks and soils, and potentially other studies. On a warm, fall, southern afternoon, William Gerstenmaier stood in line at a lunch buffet on the campus of The University of Alabama in Huntsville. The associate administrator for NASA's Human Exploration Directorate was smiling and shaking hands. You wouldn't know it to look at him, but just 16 hours earlier, Gerst—as he is referred to in the space community—phoned in to a nationally televised press conference to discuss the jaw-dropping explosion of an International Space Station-bound Antares rocket, launched by private spaceflight company Orbital Sciences Corporation. It's not surprising that Gerst didn't seem particularly shaken. Since joining NASA in 1977, he's seen it all—"unflappable" comes to mind when describing his personality. On this day, at a luncheon held at the American Astronautical Society's Wernher von Braun Memorial Symposium, Gerst wasn't here to talk Antares. Stepping to the speaker's podium, he acknowledged the mishap with some oft-repeated "space is hard" comments, and quickly moved on to the bigger picture. Gerst was here to talk Mars, and NASA's plans for getting humans there in the 2030s. On the surface, NASA's humans to Mars plans seem vague and disjointed. For instance, it's difficult to see how visiting a captured asteroid in lunar orbit fits into a bigger picture. But if you combine Gerst's speech with two days of symposium panels and a day of interviews at NASA’s Marshall Space Flight Center, the full breadth of what the agency is trying to do begins to makes sense. There is indeed a plan to put humans on Mars. Vague? Yes. Hard to see? Absolutely. But that's because Gerst and NASA are playing the long game. And right now, it may be the only game they can play. There are three big reasons NASA can't lay out a comprehensive Mars plan: flat budgets, a perilous political landscape, and the sheer scale of a 20-plus-years program. Thus far, NASA's most audacious human exploration program kicked off in 1961, when John F. Kennedy declared Americans would walk on the moon by the end of the decade. The nine-year program was a success, but it was bolstered by a strong political mandate and more than double the funding NASA receives today. The agency's budget peaked in 1966 at $43.5 billion (in 2014 dollars). Today, NASA gets about $18 billion. There's not much political will to go to Mars, and no indication that NASA's budget will change significantly. In fact, NASA doesn't even have a fiscal year 2015 budget yet, as it operates under a stopgap continuing resolution. So NASA has less than half the money to execute a program that is twice as ambitious and will take twice as long. Nevertheless, they'll need a methodical, step-by-step approach like the one used in the 1960s with Mercury, Gemini and Apollo. Furthermore, officials like Gerstenmaier want to avoid Apollo-style one-and-done Mars visits. They'd rather see NASA establish a sustainable, long term presence in deep space. "The intent is not a single Mars mission," Gerstenmaier said, "but to put in place an infrastructure where we can eventually do repeat Mars missions." To do this, Gerstenmaier and NASA focus on short-term missions they believe will develop the technologies and techniques needed to put humans on Mars. The current political and budgetary environment makes it impossible to say what a mid-30s Neil Armstrong-esque moment might look like. What NASA does know is that any Armstrong wannabes will need big rockets, advanced in-space propulsion, practice working in deep space, radiation protection, advanced habitats, and up to 20 tons of cargo waiting for them on Mars. With this in mind, seemingly unfocused programs like the Space Launch System and Asteroid Redirect Mission start to make a little more sense. While they may look like publicity stunts or knee-jerk reactions to politicians with constituents in space districts, they are actually NASA's way of getting the horse ready to pull the cart. NASA's journey to Mars begins in the place humans have continually lived since 2000: the International Space Station. Here, in low-Earth orbit, the agency is testing technologies that will be used on future Mars missions. One such advancement is 3D printing, which allows astronauts to swap out heavy toolkits for containers of reusable powder. These printers create specialized, one-off tools that can be grinded back out of existence. During an Oct. 27 panel discussion at NASA Marshall, Niki Werkeiser, the project manager for the station's 3-D printer, said NASA intends to scale up the technology so that lunar and Martian regolith can be used for feedstock. This would drastically reduce the amount of mass that has to be carried to a planetary surface. "We're looking at large-scale printers to be able to print things such as small habitat structures, radiation shielding, storage shelters and landing pads," she said. 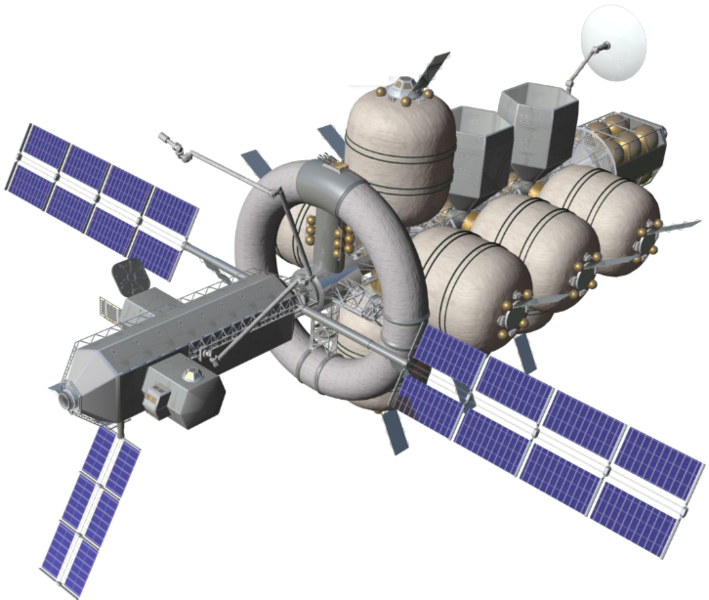 Another low-Earth orbit technology demo happens next year, when private company Bigelow Aerospace is scheduled to connect an inflatable habitat to the station. Gerstenmaier said NASA will test how well the habitat shields occupants from radiation. Also in 2015, NASA astronaut Scott Kelly and cosmonaut Mikhail Kornienko will spend a full year aboard ISS to further quantify how long-term weightlessness affects the human body. The real proving ground for Mars, though, is near the moon. It is there that NASA plans to spend a large part of the 20s, learning how to live and work in lunar Distant Retrograde Orbit, or DRO. Lunar DRO is a highly stable orbit where objects can remain steady for about a hundred years. At a June 19 briefing, Asteroid Redirect Mission Program Director Michelle Gates said NASA is currently interested in a lunar DRO with an altitude of about 75,000 kilometers. That's almost a fifth of the distance between the Earth and moon—a unique orbit unlike any humans have ever visited. For NASA, lunar DRO is intriguing for several reasons. First of all, it offers a low delta-v transfer capability, meaning it's a place where spacecraft can enter and exit the Earth-moon system without using a lot of propellant. NASA plans to establish a permanent habitat here to serve as a waypoint for Mars-bound missions. Secondly, establishing a presence in lunar DRO is a challenging but attainable milestone. It requires NASA to master deep space rendezvous and construction techniques. Astronauts living here would be far more independent than they are in low-Earth orbit—but close enough to home to bail out in an emergency. Such a quick return would come courtesy of NASA's new Orion capsule, designed with these scenarios in mind. Orion is more robust than any capsule operating today, said Mark Geyer, the vehicle's program manager, speaking to reporters at NASA Marshall. "When you're at the moon, you're somewhere between five and eleven days away from home," he said. "Orion is built to support the crew in their seats, in their suits, in a depressurized cabin, for up to six days. So it won't be a nice ride, but they'll be safe. That's the kind of stuff you have to think about when you're a long way from home." Sometime around 2019, NASA intends to launch a solar-electric powered robotic spacecraft to a near-Earth asteroid. The Asteroid Redirect Mission, or ARM, entails the spacecraft either snagging an entire 10-meter asteroid, or plucking a boulder off a larger asteroid. In either scenario, the captured asteroid will be hauled back to lunar DRO. Astronauts will visit the asteroid and collect samples for return to Earth. NASA has, to put it mildly, struggled to sell the benefits of ARM to the space community and public. ARM has been marketed as a science mission, and a chance to learn how we might redirect a dangerous Earth-bound asteroid. But in reality, the scientific benefits are outweighed by technical gains, a fact readily admitted by Gerstenmaier, who puts the science benefits of ARM in gray italics on his presentation slides. "I put them in italics because the science community is kind of constrained. If they were going to do these kind of objectives on their own, they would probably do it differently," he said. 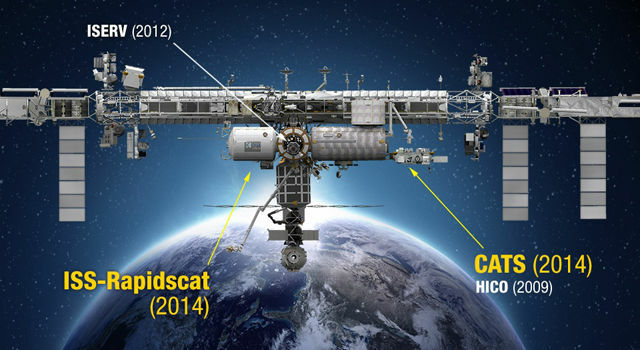 The technical benefit of ARM is that it allows NASA to perform a large-scale test of Solar Electric Propulsion, or SEP. SEP works by using solar-generated electricity to strip electrons off a gas, creating ions. These ions are accelerated out of the spacecraft, creating low-thrust, continuous propulsion. Large-scale SEP is a big part of NASA's Mars plans. Because an interplanetary journey will expose the crew to high levels of harmful radiation, NASA wants the trip to be as short as possible. That means using high-powered chemical rockets, unless a yet-to-be-developed technology like nuclear thermal propulsion is ready by the 30s. Rather than using chemical rockets to push astronauts and the heavy gear they'll need out to Mars in the same trip, NASA plans to send large amounts of cargo to Mars ahead of time. This cargo includes landers, rovers and ascent vehicles. Since no humans will be aboard, the cargo can be sent at a leisurely pace—NASA is projecting a two or three year journey for SEP-powered cargo flights. By trading speed for time, SEP eliminates the need to heave additional chemical rockets and propellant off the Earth. If ARM is successful, astronauts will be able to clamber around an unfamiliar hunk of rock in deep space sometime in the early to mid-20s. This will give NASA a chance to test techniques that will be useful on other big hunks of rock. Mars' 20-kilometer, potato-shaped moon is shown in many NASA visuals as a precursor destination in the 30s. The first human missions to Mars might land there, paving the way for future crews to take the final plunge into the planet's gravity well. There could even be a precursor mission before Phobos, such as a trip to Martian orbit to join up with waiting habitat and cargo module. From either Mars orbit or Phobos, crews could teleoperate Martian rovers, where communication latencies would be minimal. NASA hopes to first try this out from lunar DRO, where rovers can be teleoperated on the far side of the moon. Gerstenmaier said the scientific community is interested, with preliminary discussions in progress to identify targets of interest. If ARM is wiped from the budget by Congress or the next presidential administration, NASA will have to test out large-scale SEP another way. During the 46th annual meeting of the Division for Planetary Sciences of the American Astronomical Society in Tucson, Ariz., a Boeing representative said SEP could instead be used to push a habitat module out to lunar DRO, providing the necessary test of the technology. All of NASA's Mars plans revolve around a core technological need: a big rocket capable of getting large, heavy payloads off the Earth. The Saturn V rocket that carried humans and hardware to the moon could lift 120 metric tons to low-Earth orbit. By comparison, the most powerful launch vehicle operating today is the Delta IV Heavy, which can do about 29 tons. The space shuttle could loft 25. NASA's Space Launch System, or SLS, is scheduled to debut in either 2017 or 2018. It will initially be capable of lifting 70 tons to low-Earth orbit. A future, upgraded version will do 130. 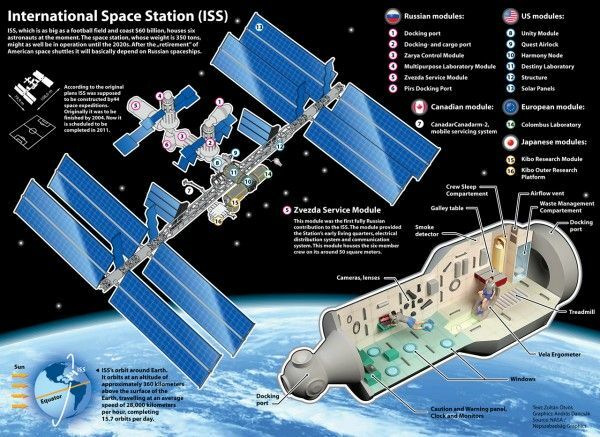 The International Space Station, the largest human-made object in space, weighs about 420 tons. It took more than a decade of shuttle flights and Russian rockets to assemble. Just four SLS flights could do the job, assuming the station could be redesigned to fit inside the rocket's payload fairing. The space shuttle's payload bay was less than five meters wide. The final SLS variant will have a mammoth 10-meter fairing. SLS Program Manager Todd May calls the 10-meter variant "every rocket builder's dream." During an interview at NASA Marshall, May said SLS is a critical component of NASA's Mars plans. "Just imagine taking a trip out to the desert," he said. "You're not coming back for three years. Do you want to take the Volkswagen, or do you want to take the biggest SUV you can think of?" With a smile, he added, "Or an RV. Or several trains." After SLS and Orion are flying, their development costs should decrease, freeing up money for other Mars hardware, like crew habitats. But another critique of SLS is the rocket's anticipated low launch rate, which could drive up operational costs. Nick Cummings, the integration manager of Ground Systems Development and Operations at Kennedy Space Center, said this concern is unfounded. "We're planning for a launch rate of about once per year," said Cummings. "That once every few years [rate] is somehow the talking point that just never dies." Cummings' statement was echoed by Gerstenmaier, who said once-a-year launches will begin after the first crewed Orion flight in 2021. "By the time we're at EM-2 [Exploration Mission 2], we're set up with a capsule that can go do things routinely," he said. "We're set up with SLS, which can get us there, and we're set up with the basic underpinnings that can let us go into deep space." Besides humans-to-Mars gear, what else will NASA launch with SLS? One possibility is the Europa Clipper, a mission to understand the subsurface ocean of Jupiter's icy moon. SLS could slash four years of travel time from the mission, according to Boeing, the rocket's prime contractor. A shorter travel phase would reduce the mission's operational costs. Bill Hill, NASA's assistant deputy associate administrator for Exploration Systems Development, said planetary scientists prefer the heavy-lift rocket for Europa Clipper—if the numbers work out. "We’re looking even further for collaboration with the science community and the planetary folks," he said. "They are basically baselining SLS as their launch vehicle. We’ll see how we do there." In an effort to promote SLS as a multipurpose rocket, Boeing has spared no expense on artist's concepts that feature planetary exploration missions. They envision the rocket being used for things like a Uranus orbiter, a Voyager-style interstellar probe, and a huge space telescope with an effective diameter of 16 meters. The Space Launch System has been occasionally referred to as the "Senate Launch System," a swipe at political mandates dictating how and where the rocket should be built. All of the big aerospace players are involved, including Boeing, Lockheed Martin, ATK and Aerojet Rocketdyne. SLS is designed at Marshall Space Flight Center, built at Michoud Assembly Facility, integrated and launched from Kennedy Space Center, and controlled by Johnson Space Center. As the space shuttle program came to a close, politicians in space districts fought to ensure NASA's next rocket system would be built in their backyards. Ironically, some of the Space Launch System's cost savings may come at the expense of people. At Kennedy Space Center, SLS requires a smaller footprint than the space shuttle. Only one Vehicle Assembly Building bay is needed. There is just one mobile launch tower and one launch pad—which lacks the behemoth fixed structures of the shuttle program. Many other shuttle facilities are being rented out or sold. In Louisiana, the Michoud Assembly Facility no longer requires a large, horizontal, indoor facility to build fuel tanks, with the opening of the state-of-the-art Vertical Assembly Center. Is there any road to Mars that doesn't pass through all the familiar space districts? For NASA, not likely. While there are no shortage of ideas on how private companies could do things differently, the recent losses of Antares and SpaceShipTwo are jarring reminders of how difficult spaceflight is—political and budgetary constraints notwithstanding. NASA's commercial resupply program has largely been a success, with both Orbital Sciences Corporation and SpaceX regularly sending cargo to the ISS (Orbital plans to use alternative launch vehicles until Antares returns to flight). 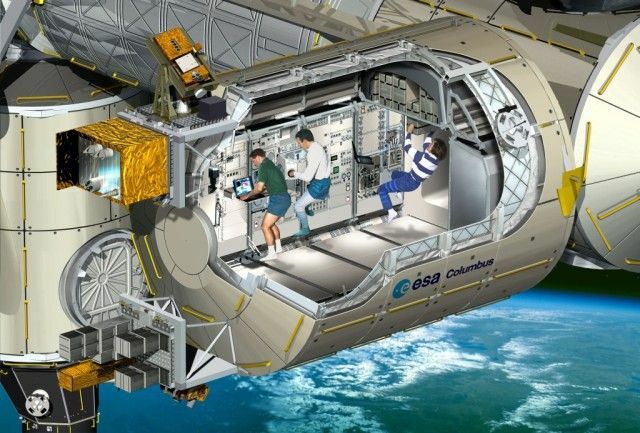 In 2017, the agency expects to have either Boeing, SpaceX or both ferrying astronauts to the station. Once NASA has established a staging point in lunar DRO, additional opportunities may arise for commercial providers, such as resupply missions to a habitat module. When asked whether NASA or commercial astronauts will walk on Mars first, May, Cummings and Geyer said they'd be happy in any either case—and that it would likely be a team effort. But at the same time, NASA believes they must be the ones to blaze the trail. "There is no market on Mars," May said. "We're kidding ourselves if we believe that." Flash forward to the mid-2030s. At Kennedy Space Center, a crew of astronauts climb into an Orion capsule and launch into space atop SLS. 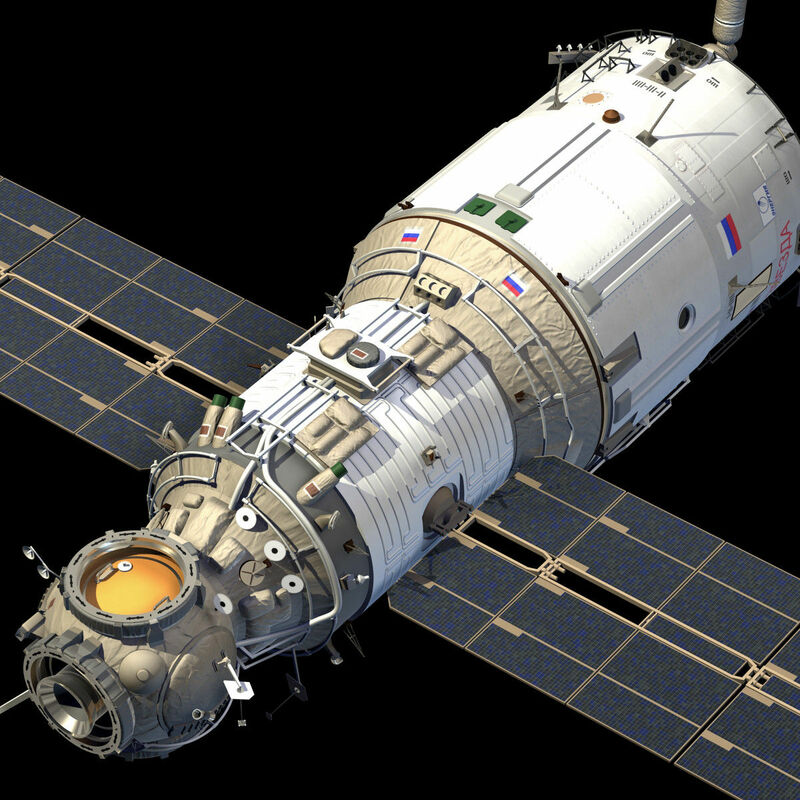 They arrive at lunar DRO, dock with a habitat module, and depart for Mars. 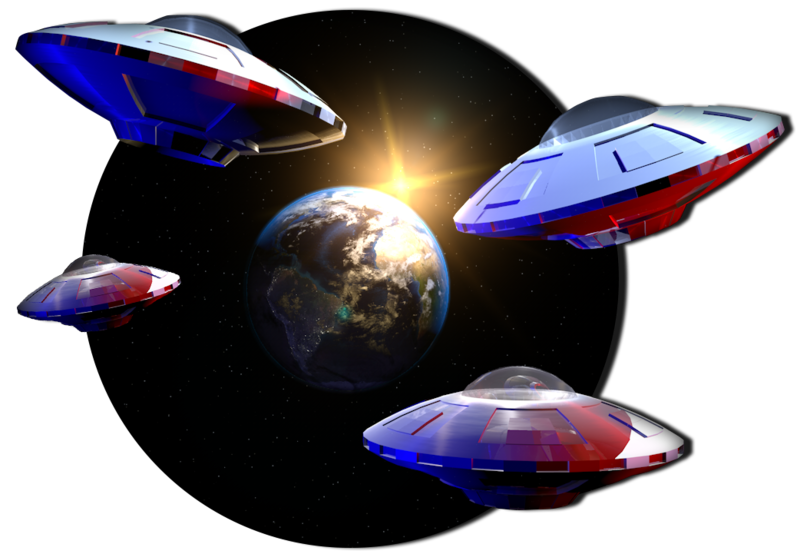 They zip through interplanetary space as fast as they can, minimizing their exposure to radiation. In Martian orbit, they meet up with more cargo and equipment. During the first trip, the crew might orbit without landing, Apollo 10-style. Another mission might land on Phobos. But eventually, a crew will plunge into the Martian atmosphere. NASA estimates 15 to 20 tons of equipment will be needed on Mars for a human surface expedition. This includes food, water, air, habitats, rovers, and an ascent vehicle. The biggest thing to land on Mars so far is the one-ton Curiosity rover, which made a harrowing, rocket-powered descent during NASA's highly publicized "seven minutes of terror." Once on Mars, the crew spends up to a year exploring the surface. They return to Martian orbit and depart for Earth. Their transit habitat gets dropped off at lunar DRO for refurbishment, while the crew careens back into Earth's atmosphere aboard Orion and splashes down into the Pacific. There are ticker tape parades for the astronauts. It is a watershed moment for humanity—the end of 60 frustrating years following the last time we dared to do something so staggeringly bold. So why doesn't NASA just say how they're going to do it? Because it's expensive. It's subject to political whims. It's astonishingly difficult. In short, it's crazy. So for now, Gerstenmaier and NASA keep their cards close to the vest. Rather than handing Congress a binder of plans with an astronomical price tag, they focus on short term goals that put the agency one step closer to Mars. 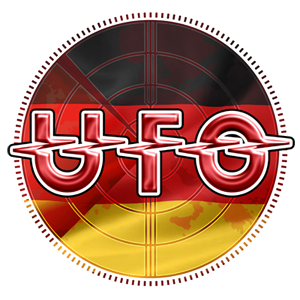 Heute waren schon 33870 visitors (72206 hits) hier!